We’ve teamed up with Pad & Quill for a special series of WWDC-themed giveaways this week to celebrate Apple’s big June event, and our third and final giveaway takes place today. 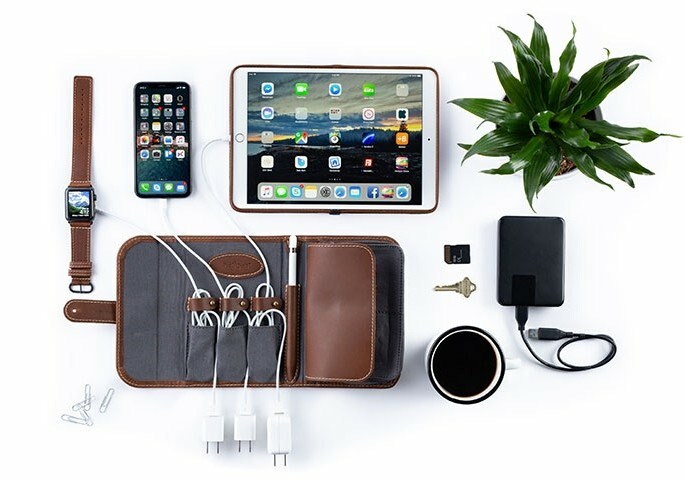 Pad & Quill, for those unfamiliar with it, is a company that’s well-known for making high-quality hand-crafted leather accessories for iPhones, Macs, iPads, Apple Watches, and more. 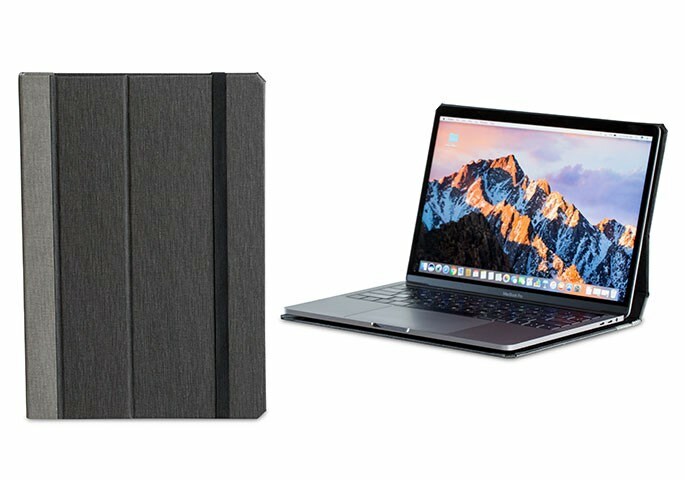 For our last WWDC giveaway, we’re offering MacRumors readers a chance to win a Cartella Slim Case for the MacBook or MacBook Pro, a TechFolio Cord Organizer, and a Lowry Leather Cuff for the Apple Watch. The Cartella Slim, priced at $100 to $110 depending on size, is available for the 12-inch MacBook, the 2016/2017 13-inch MacBook Pro, and 2016/2017 15-inch MacBook Pro. It’s a book-style case, made in a bindery in St. Paul, Minnesota, with a thin front and back cover wrapped in charcoal, cranberry, or gray linen. All ports, vents, and fans are accessible with the Cartella Slim, and the MacBook attaches to the case using adhesive technology. Because there’s no solid frame, the Cartella Slim adds little bulk, but still protects your Mac from bumps, scratches, and minor drops. An elastic band closure completes the book-style look and keeps everything in place when your machine is closed. 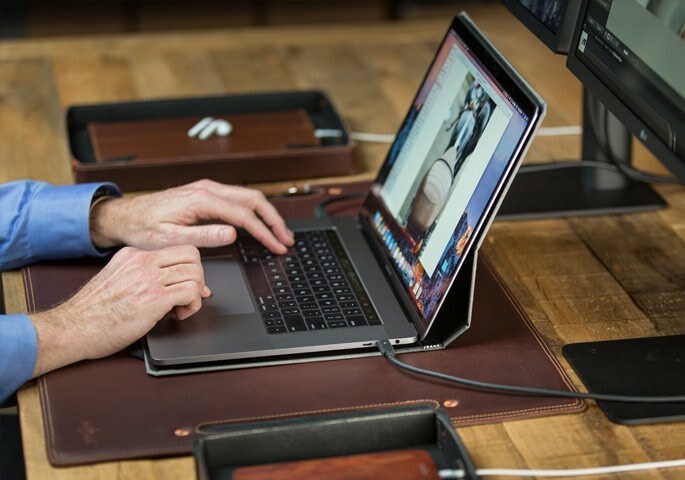 The $90 TechFolio Cord Organizer, which can hold all of your MacBook’s accessories, is designed to keep all of your cords neatly organized in one easy-to-access place. Like all Pad & Quill products, the TechFolio is handmade from leather and able to hold a ton. It has three cord organizer pockets, an Apple Pencil slot, a larger zipper pocket for a MacBook charger, two smaller pockets for accessories, and slots for keys or SD cards. All of this folds down into a small package that secures with a rivet closure. Pad & Quill’s Lowry Leather Cuff for the Apple Watch fits the 42mm models and is made from a soft, vegetable-tanned leather with a comfortable suede interior. Priced at $130, it comes in American Tan, Galloper Black or Chestnut, and while it is a cuff design, it leaves the heart rate sensor accessible through a cutout at the back. 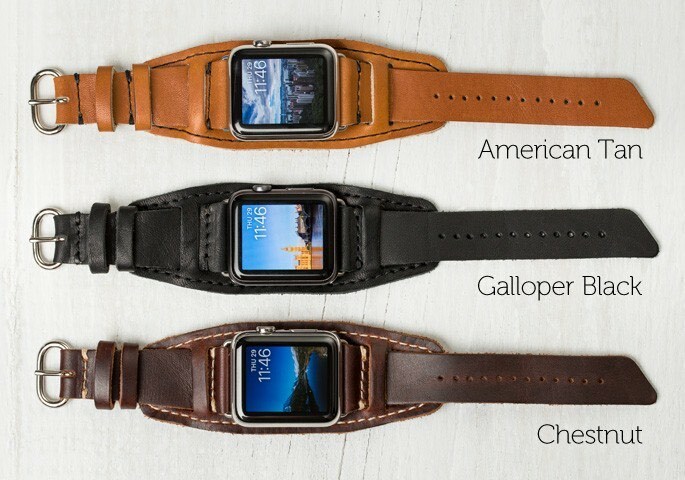 The Lowry Leather Cuff fits wrists sized 125 to 215mm, with lugs available to match all of the Apple Watch models. Today’s prize pack includes one Cartella Slim for the MacBook or MacBook Pro, a TechFolio, and the Lowry Leather Cuff. To enter to win, use the Rafflecopter widget below and enter an email address. Email addresses will be used solely for contact purposes to reach the winners and send the prizes. You can earn additional entries by subscribing to our weekly newsletter, subscribing to our YouTube channel, following us on Twitter, or visiting the MacRumors Facebook page. a Rafflecopter giveawayThe contest will run from today (June 7) at 11:00 a.m. Pacific Time through 11:00 a.m. Pacific Time on June 14. The winner will be chosen randomly on June 14 and will be contacted by email. The winner will have 48 hours to respond and provide a shipping address before a new winner is chosen.